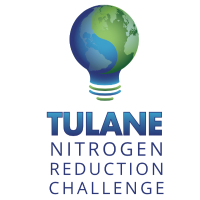 The Tulane University Nitrogen Reduction Challenge seeks innovative in-field solutions to combat hypoxia, a deadly deficiency of oxygen in water created by the excessive growth of phytoplankton. More about the Challenge here. Grand Challenges are socially innovative approaches to addressing problems that natural market forces have failed to solve. In 1927 Charles Lindbergh claimed the Ortegi Prize and $25,000 when he became the first to fly from New York to Paris. Recent examples and successes include the human genome project and the Ansari Prize resulting in the introduction of commercial space travel. As defined by the White House, "Grand Challenges are ambitious, yet achievable goals to solve society's biggest issues through innovation and breakthroughs in science, technology and implementation strategies." The National Advisory Committee for the Tulane Nitrogen Reduction Challenge has selected five finalists for its $1 million cash prize, which will be awarded to the team that presents the best solution to combat hypoxia – the deadly deficiency of oxygen that creates annual “dead zones” in the world’s lakes and oceans. Such dead zones kill marine life and threaten the economies of coastal regions, including those along the Gulf of Mexico, home to the world's second-largest dead zone. The purpose of the challenge is to find in-field solutions to hypoxia that reduce nitrogen runoff from crop fertilizers into rivers. Such runoff from the nation’s farmlands is considered the primary cause of annual dead zones. The five team finalists for the $1 million prize are ADAPT-N (Ithaca, N.Y.), AgDNA (Brisbane, Queensland, Australia), Cropsmith (Farmer City, Ill.), PIVOT (Berkeley, Calif.) and Stable’N (Carmi, Ill.). The solutions presented by the finalists to combat the dead zones range from using electricity to inhibit nitrogen loss, utilizing microbes to enhance availability of nitrogen for crops, an integrated nutrient management system, and using real-time data and simulation scenarios through precision agriculture/model derivatives to determine nitrogen application rates. 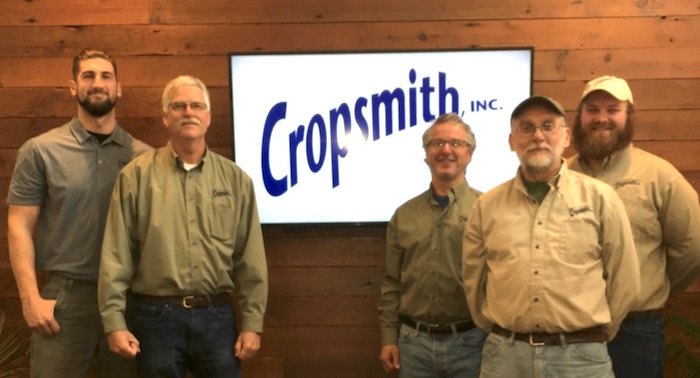 Members of Team Cropsmith include the agronomy research team from Cropsmith.